All products are Italian standard sizing. 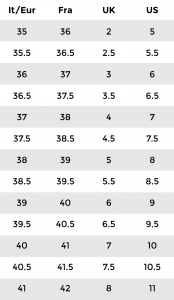 The table below will help you find corresponding sizes. Italian handmade leather high heels. Women’s sandals designed by Anthony Stoker. Irradiant sandal with metallic sunburst inspiration. 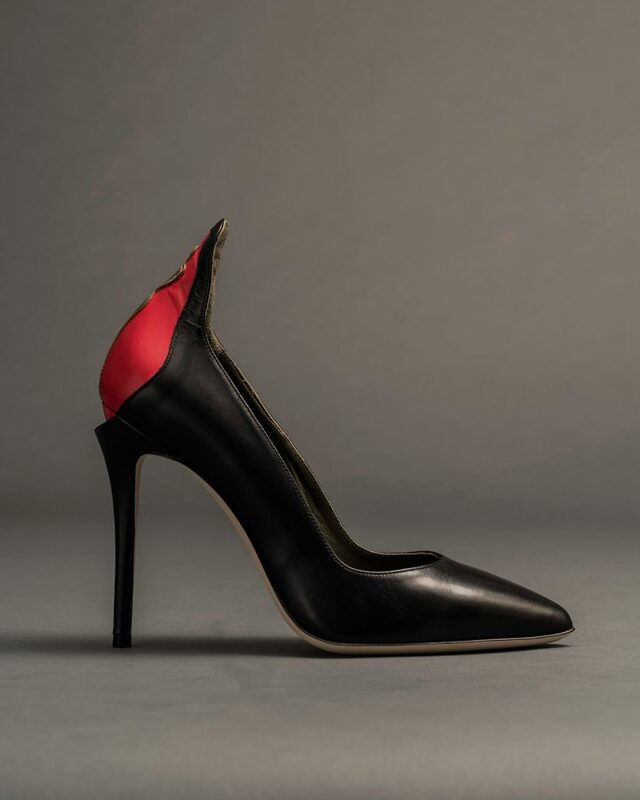 On signature 110mm heel for elevated elegance. 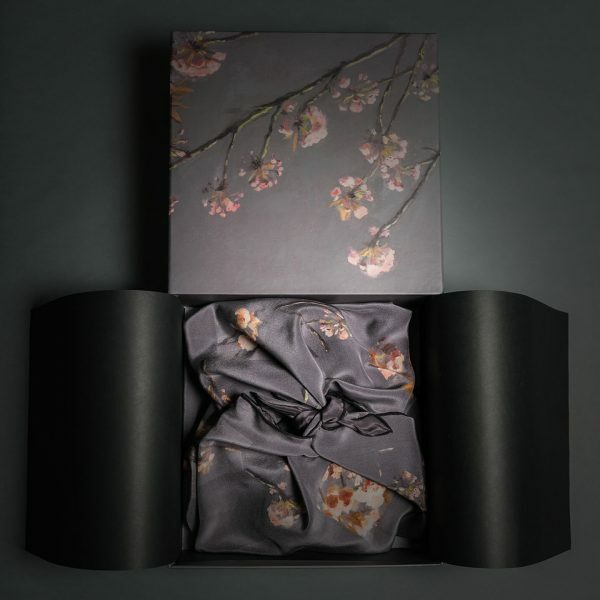 Each pair wrapped in a silk scarf 85cm x 85cm, within a handmade box. Receive the latest Notes of Inspiration. Rhyme and Rumination. Heels worth Wearing. Stories worth Sharing. We'll send you a confirmation e-mail soon. Please remember to check your spam folder.